BricsCAD V18 OS X is available today! BricsCAD V18 represents the future of the .dwg format, and now it’s available for the Mac. V18 OS X offers workflows for general design, mechanical design and BIM. We’ve made all of these workflows are available in one product, based on .dwg – the industry standard file format. In V18, we’re extending the .dwg format with the first fundamental change in .dwg technology in 35 years. Our repository-based design enables blazingly fast drawing compares with a really unique visual merge feature. Save minutes per hour with V18’s simplified user interface – including the new Manipulator Widget, and a greatly enhanced Quad cursor. In V18 OS X, you can access your drawing metadata quickly with the improved Drawing Explorer and the new Content Browser, Layout Manager and Structure Panel. BricsCAD BIM puts the focus on creativity, and lets you move to BIM on your schedule. 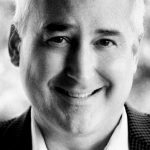 Make your design decisions and let your computer do the tedious work for you. Using advanced machine intelligence, BricsCAD BIM simplifies the process of creating your Building Information Model. BricsCAD BIM will automatically classify BIM objects, including their spatial locations. Each room knows where it is located in a building, and knows its 3D boundaries. In V18, the automatic classifier recognizes linear solids as beams, pipes, ducts and more. We’re laying the groundwork for structural and building mechanical applications in the near future. You can create fully parametric windows from any closed contour. The parametric arrays in V18 give you great flexibility in creating staircases and curtain walls. And the greatly improved IFC import capabilities and data extraction tools bring together the entire BIM workflow. There’s a lot more to BricsCAD V18 OS X! You can try BricsCAD, BricsCAD BIM, BricsCAD Sheet Metal and Communicator for free for 30 days at bricsys.com. 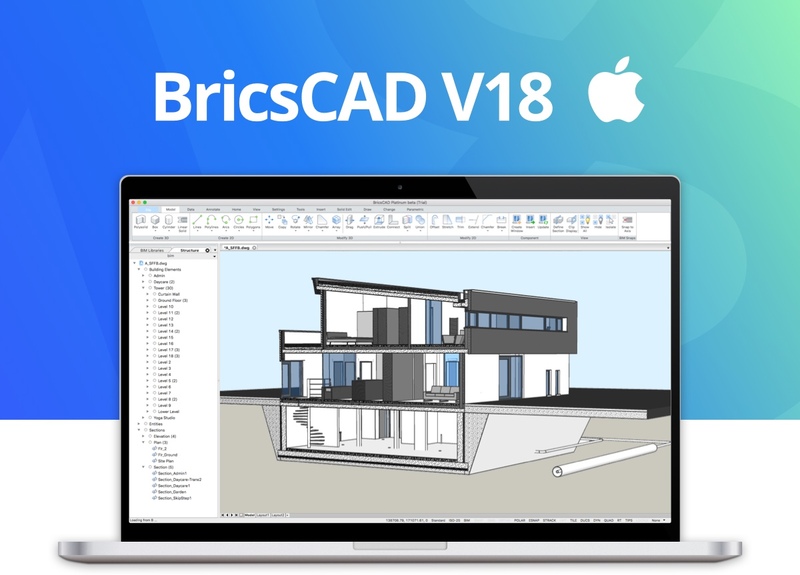 The English version of BricsCAD V18 for OS X is available today. Other languages will be available in the coming weeks. Now that BricsCAD V18 OS X is available, you need to know that the Mac version of BricsCAD Shape isn’t far behind. Stay tuned on the BricsCAD Shape webpage for more information about Shape OS X! BricsCAD V18.2 is here, and it’s… wow! I too have been useing CAD for approximately 30 years,then it was Bentley Microstation 95 on a Mac, 2D. Sketch-up for 3D Presentations. Now I require a 2D CAD software package for building design/useing cells for component parts and last but not least not too expensive. Do not require an expensive Bentley CAD at £1k annually, as I am not earning at present!